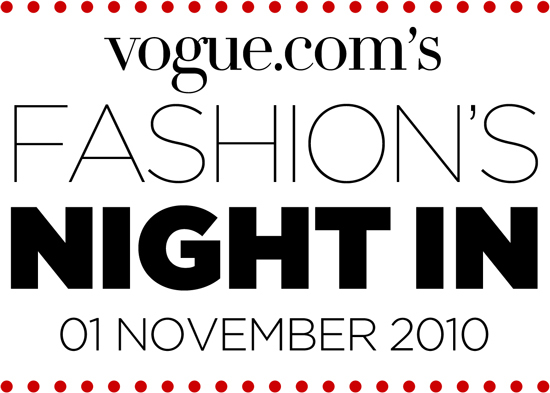 Vogue Fashion's Night In: The Results! What did everybody make of VFNI then? 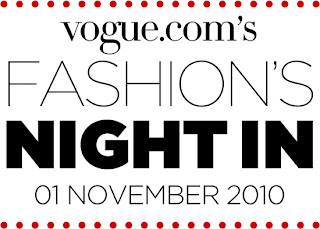 I thought it was brilliant, so much going on and so many brands got involved, I hope they raised loads for charity! I spent a lot of time on the YBD (young british designers) website as they had a lot of new up and coming labels and designers at really decent prices, as well as having hourly discounts off particular brands. I tweeted them a couple of times and was lucky enough to get one of my tweets published on the site, I managed to do a screengrab of the moment (with some help from Google and the Boy!) but I can't figure out how to publish it-argh. If anyone can tell me how to get it from my Microsoft Office to my blog, please let me know! Did you guys get any bargains or freebies?